SERIES Chair takes timeless design and comfort to a new level. 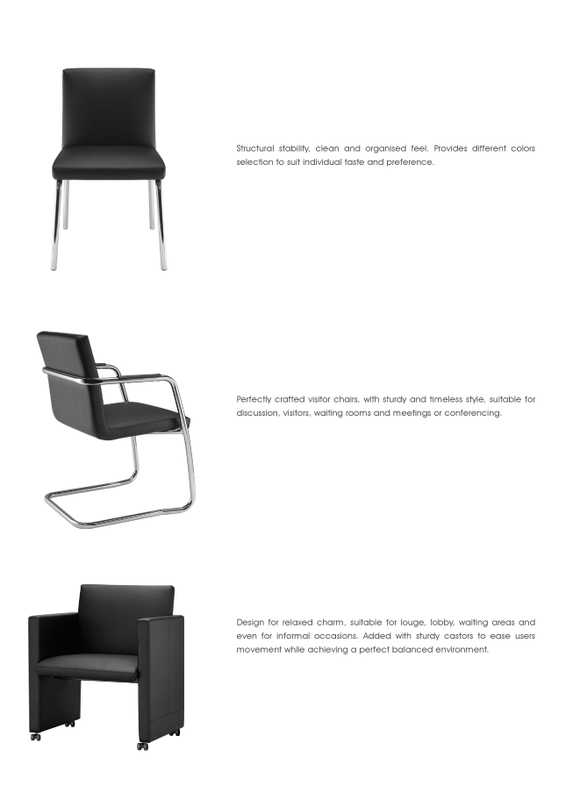 It is the latest addtion to the Nexus Collection for discussion rooms, lounge, pantry as well as general waiting areas. We present an exclusive range of visitors chair that is available in various sizes, design and colors.